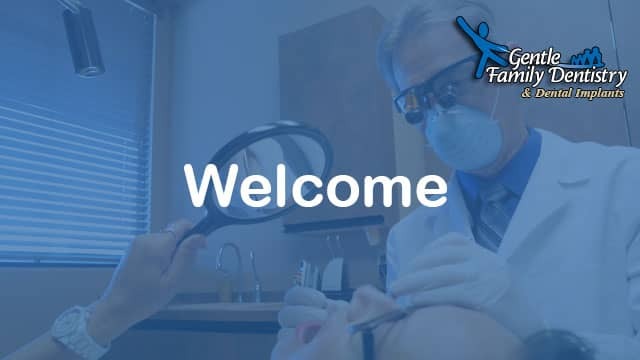 Avondale, AZ Dentist, Charles Clausen, DDS - Gentle Family Dentistry & Orthodontics is a Multi Specialty Dental Group, providing one-stop shopping for all your dental care. We have three doctors on staff to offer patients most dental services in one office including dental implant placement. Nosotros hablamos español - Conozca nuestros servicios dentales en español. Avondale Dentist, Charles Clausen, DDS - Gentle Family Dentistry & Orthodontics provide excellence in dental care in the most gentle manner possible. We love prevention, but if you have significant needs, please do not be overwhelmed. Dr. Clausen will restore your health at your pace and within your budget. We have practiced affordable dentistry for over 20 years and achieving your goals over time is possible, and it is our mission! General Dentistry: prevention, diagnosis and treatment of conditions, disorders and diseases affecting the teeth and gums. Children’s Dentistry: treatment of children’s dental problems and monitoring childhood oral-facial development. Dentistry for Seniors: comprehensive dental care to help prevent tooth loss and oral health problems. Restoration Dentistry: crowns, bridgework, dental implants, dentures, and implant retained dentures with advanced "All on 4" teeth in a day (dental implants and dentures). Dental Implantology and Oral Surgery: Few dentists have the dual training and experience to offer both restoration and replacement procedures. We offer surgical placements and implant crowns in the same office, Our process includes a review of medical and dental histories, periodontal health (gum), bone quantity occlusion, TMJ and facial aesthetics. Oral surgery includes wisdom tooth removal, bone grafting, maxillary sinus lifts, and implant placement. Cosmetic Dentistry: improve appearance, health and function of the teeth and smile. Orthodontics: pediatric, teen and adult options in teeth straightening including Invisalign™ clear dental braces. Periodontal Care: protect against gum disease (periodontal disease and gingivitis). Sedation Dentistry: for patients with dental anxiety or who would just rather sleep through a procedure. Sleep Apnea: obstruction of the airway, resulting in heavy snoring, poor sleep, and disruption of breathing is correctable with a dental appliance. Emergency Dental Care: urgent Acute dental care focused on saving your teeth. We are highly trained in offering you a variety of services including cosmetic dentistry and restoration dentistry. Before any treatment begins we will take the time to explain our findings and encourage your questions in an open dialogue. We value your input, and this sets us apart from other dentists. Together we will work to meet your dental needs and desires. We are a team who believes, when it comes to our patient's dental health, excellence in everything is expected. We will work together with you to restore your health and provide you with treatment over time, within your budget, and to help you maximize your insurance benefits. We will obtain a breakdown of benefits prior to your appointment.